Medical Reviews is a largest medical journal in Pakistan, founded by Muhammad Fareed in 1989 from Karachi, Pakistan. It has remained an emblem of quality information, state of the art articles, and reviews on the national health issues. 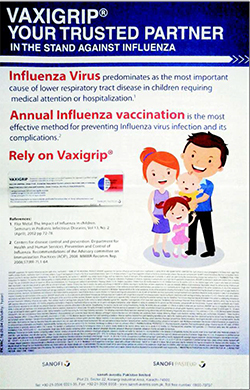 Given the largest circulation of this medical news Journal in Pakistan, it reaches out to almost all medical professionals and institutions all around the country including General Practitioners and consultants, medical institution and libraries, federal and provincial health ministries and departments, NGOs and policy research institutions and the pharmaceuticals industry. Its team of correspondents in Karachi, Lahore, Islamabad, Peshawar and other cities provides exclusive coverage to medical activities and issues. A number of leading medical researchers and analysts publish their articles, reviews, and researches regularly in this Medical Review. Medical Review for years now have filled in the information gap and have proved a bridge between the medical researcher and the general practitioner by providing important and latest information and chronology of all major health events in the country. It is also catalyst in creating awareness on health issues in general among the public. Since its inception, Medical Review has continued to grow into a vital medium for the dissemination of medical knowledge across the medical fraternity in Pakistan and creating an opportunity for policy advocacy on pertinent health issues that needs attention by policy makers.